We have an online archive of all Perranuthnoe Parish Council meeting minutes from the start of 2013. New minutes will be added to this page as soon as they have been approved by the council. Perranuthnoe Parish Council meets on the second Monday of each month at 7.00pm. 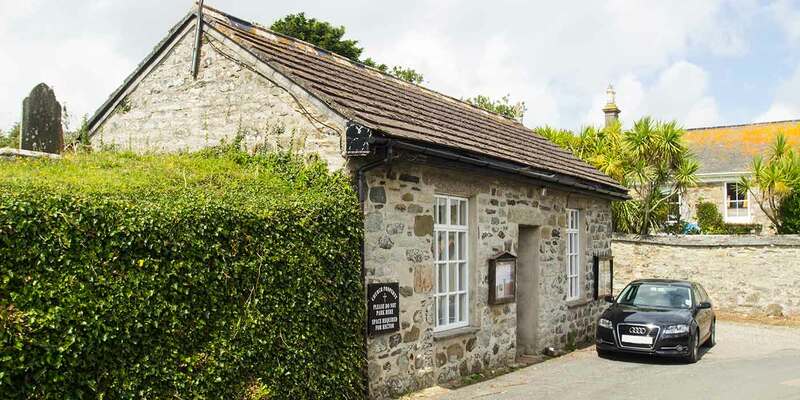 Meetings are held at St Piran’s Hall in Goldsithney and, twice-yearly, in Perranuthnoe Church Room. The Parish Council serves the villages of Goldsithney, Perranuthnoe, Rosudgeon and surrounding areas. 1 If there are several parishioners attending the meeting to speak about the same subject, it may help if a spokesperson is elected to speak as the 20 minute public speaking period will be strictly enforced. If more than one item is up for discussion, then the time will be split fairly between parishioners wishing to put their observations before the Parish Council. 2 Once the minutes from the last meeting have been endorsed by the Parish Council, they will be available for public viewing. 3 Section 17: at this point of the meeting, the Parish Council has to review the subject and topics discussed in relation to the following legislation: Crime & Disorder Act 1998; Duty to promote race relations; Freedom of Information Act; Disability Discrimination Act 1995; Human rights law; Personnel and employment law; Data Protection Act 1998. 4 At this point of the meeting, any parishioners still in attendance will be asked to leave. Once the Parish Council has discussed the items, the results will be available for public view once endorsed at the next meeting of the council.